Whether you are a very beginner in the training for 5k, or somewhat of a more advanced runner, there must be a serious approach if you intend to drop down the seconds or even the minutes from your personal best time. 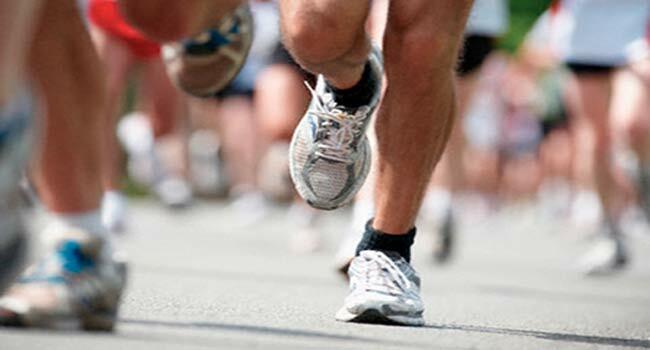 The advanced 5k training plan should usually comprise couple of elements that are crucial if you want to witness an improvement in your 5K running result, as well as a more diverse training schedule, the end result of which would be making you faster, stronger, with improved muscle and cardio endurance, as well as minimizing the chance of getting yourself injured. The advanced 5K training plan should address, just as it’s mentioned above, various aspects of what is required to successfully drop time on a 5K race. However, some of these are more important than other, as is the case with cardio endurance, learning how to keep and control the pace, increasing your VO2(maximal oxygen consumption) as well as your lactate threshold. Therefore, you must incorporate various exercises, with each one serving a different purpose, and learn how to schedule them in order to squeeze the max, while ensuring your progress throughout the 5k training plan. The start position is a must if you think about enrolling yourself in this type of training. It will build up your muscle endurance at first, as well as your VO2 max, your cardio endurance, and the mental discipline. It will give you somewhat of a pacing awareness, familiarize you with what is the foundation of running. Your start position, your base, must be built in continuity, rather than fast progress. Therefore, you should start in your comfort zone, even jogging at first, and add miles as well as speed. The speed will come by itself at first, so what should you really watch a close eye to, is the distance, ergo adding the miles. Consider having one longer run in the week, and also a calculated number of miles per week. The end result of building your base – both of these should increase. Your longer run, the one you will do once a week should not surpass 12 miles, since this is a 5K run, and such a distance is just something entirely different. Some are even considering this number to be a bit much. As for the miles per week number, you should aim for something between 35 and 45. Everything under that is just not playing it serious, and anything above is maybe a little bit pushing it too far. A solid base can be built within a month, and it will allow you to continue with all other sorts of training as the hill run, tempo runs, watching your pace, bodybuilding exercises for your lower part of the body. This part of the 5k training plan, even though more basic and straightforward in terms of complexity, will indeed make you a better runner, and give you the foundation upon which you will build your 5k training plan further ahead. You will also be much safer from any kind of injury, should you choose not to get into more advanced training without building this base. Tempo runs are what builds speed and the ability to maintain fast pace in the race. They also increase your lactate threshold and your VO2 max. What may be considered as a complete tempo run by some is the 4X400 followed by the 3X800, and then finishing with the 2X1600. You run 400 meters with a pace almost exactly as the one of your targeted 5K time. I say almost exactly since you will start slower at first, and then after you take the grasp of it, and as you progress through your 5k training plan, you will aim for a faster pace; even faster than the targeted 5K time. After every 400 meters run at that pace, you take a 30 seconds break. The X4 part tells you the rest- you do this thing until you complete 4 times of 400 meters. The 3X800, similar to this represents the same process. The only difference here is that you rest for a 45 seconds in between the laps. The 2X1600 is same as the others just that the rest here takes up to one minute. You can incorporate one tempo run per week and your 5K training plan will gain a lot in terms of speed, power, pace maintenance, as well as increasing your cardio capabilities and your VO2 max. In the start, begin with completing only a part of the tempo run, i.e. the 4X400 or maybe even add the 3X800. Complete the whole cycle only when you have a control over your pace, and are able to push yourself. You see, this is where a nicely built base helps a lot. This is one of the best ways to build that power, that speed. You will also train your muscles for endurance, since they will go through a real shock at first, and after passing the initial training and going deeper into this practice, you will also find improved form, posture, muscle strength, and of course stability of the joints. That is if you don’t injure them first with this type of training. Therefore, you should start with hill runs only after you are done with building somewhat of a starting base position. At first, of course, you must only consider running on a hill for a short time frame, or shorter distance. Try something more or less than a mile, and see how things develop from there. One hill run per week is more than enough, and you should even consider doing even less of those in the start of your 5k training plan. Here you test yourself – pushing to the max, trying to take down the previous best time. In order to gain the benefits from this one, the best thing to do is to run the whole 5K in one take. You see where you are at, and make a better effort each and every time. However, pushing yourself every week is not the answer, yet alone doing it on daily basis. You should try placing one of these test runs right when you start building your base (after a week or so, because you still need to be in some shape, since injuries occur quite a bit when you push harder at the very start), seeing where you stand, where you start from, what is the result you need to improve. You can also see which aspects of running you are weak at – for example, maintaining a certain pace, your form in running, breathing and the whole cardio thing, muscle fatigue and endurance. This test, will among other things, also push your VO2 max towards improvement, as well as let you know how it is to be outside of your comfort zone – thing that will be inevitable if you want big results. Mental discipline is also nicely built this way. As I mentioned, after placing one of these runs at the beginning of your base building, you can then schedule the next for the end of the first month of the advanced 5k training plan. Then you can again get a better picture on how things work, as well as see some important segments of your training plan like readiness to push intensely and improvement in mental discipline. After you start with the more advanced aspects of this 5k training plan (this being tempo runs, hill runs, bodybuilding and resistance training exercises), you can schedule one of these every two or three weeks. While constant running gives you improvement in every aspect of the race, you must also understand that it can lead to muscle soreness and fatigue, as well as joint injuries from all the constant weight and stress put onto the joints. The best way to avoid this, and still be able to work out and not stay behind, is to change the nature of the exercise one day in the week. The activity must be a cardio one, one that still requires some work to be put into, as well as one that acts therapeutically on you. Therefore you can choose between cycling and swimming as the best options for this. Cycling will ensure your joints are getting rehabilitated, although I must personally recommend swimming. It will definitely do some magic for your lung capacity, and also give you the muscles and joints rehabilitation that your body needs. Having one day in the week where you can do these types of activities is a smart move, although you can schedule one every two weeks. These days however, you don’t have to work out in the same demanding pace, but that doesn’t mean that you should be any less serious about it. Believing that the stronger and bigger the muscles in the legs area, the better the result, many people figure it all wrong. However, exercising your muscles in the lower part of your body will give you some of that power and speed. Types of exercises you can do for this purpose are squats, steps, as well as some other like jumping rope, various leg rises and high jumps. As you also probably figured by now, your lower abs will require some strength as well. You can do various abs exercises, as well as more compound exercises, meaning targeting more muscle groups at once. This type of workout (compound exercises) will give you more agility, coordination, balance, as well as target more muscle groups at once, while still representing somewhat more of a cardio workout when compared to doing reps and sets in the gym, targeting smaller muscle groups one at a time. You can do these exercises almost every other day, and figure the intensity by yourself. Overdoing them though, may result in a great risk of injury while going through with your runs. As you can see, there are many ways to increase various aspects of your physical readiness and fitness level if you like to bring your personal best time way down. The thing though, to a successful 5K training plan, is knowing how to schedule them appropriately, and comprise them into one routine. Note that this advanced 5k training plan is aiming to get you running faster while staying safe. It is also intended for someone who is more or less a beginner, and still wants to achieve great results. As for the already more experienced runners, try and follow what is written under “fifth week”, skipping the ones before. Depending on your readiness, you will start with one mile or less. Stretching is a must. Do couple of minutes of stretches before every run. Try to do some leg exercises each day, and some compound exercises as squats, push-ups, and sit-ups. The running schedule: Monday, Tuesday, Thursday, and Friday for a one mile run, with the possibility to run less, or slightly more. Let your pace be even as low as half your targeted time. Do rests with walking if you feel that you have to. On Saturday measure your 5K time. Meaning you will have to run a full 5K distance, pushing yourself almost to the max. Wednesday and Sunday are rest days. Start to slowly increase your mileage each day, and see if you can go up to 10 miles per week or even more, depending on your current form. On Wednesday, instead of having a rest, try and do some cardio in the form of cycling or swimming. Continue with the leg exercises, but now add some intensity by doing more reps, and do them every other day instead on daily basis. Do some compound exercises too. Saturday is for your full 5k run. Increase the mileage again, this time see if you can hit 15 or more. Continue with everything else in the same fashion as in week two. Further increase the mileage, this time to 20, and see if you can start to pay attention to your pace, breathing, proper form. On Saturday try to beat your 5K personal record again. This time push yourself to the max. Since the base is already set, you can now start with some more serious training. This week should usually set the pace for the entire remaining period of the 5k training plan. Apply this training into as much weeks ahead as you feel you will need. Let Monday be your day for tempo runs. You can also incorporate some leg exercises as well as stretching. Wednesday should be for swimming or cycling, with some leg and compound exercises too. Thursdays can be usual runs, as well as a hill run. Saturdays are for the longest run of the week, with putting a test run instead every second or third week. Depending on your readiness you will add more miles each week on your usual runs as well as your longer runs. Follow this advanced training plan for 5k, and you will see huge results in your timing, as well as keep yourself safer from injury, while using a lot of your body’s potential. 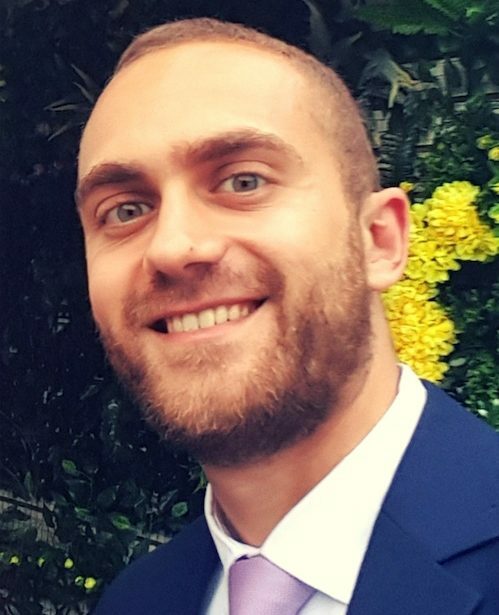 Have in mind that this second part of the post is a personal opinion regarding the exact 5k training plan put in practice, derived from personal experience. You can use the exercises and the techniques listed in the first part to make your own advanced 5k training plan, and change pace along the way. You should consider giving yourself a better start by choosing your running equipment more carefully. Nice pair of shoes can make a world of a difference, as well as having a heart rate monitor as well. For these you can check Amazon, as well as your local retailer (they usually know the best, because of the constant feedback they get on products). Although, here are some products that I either tried myself or had an experience with shared from others people. Note that these are affiliate links (meaning we get a slight percentage if you decide to purchase), but I have tried these products, and the reason for recommending them is what they deliver in terms of quality. 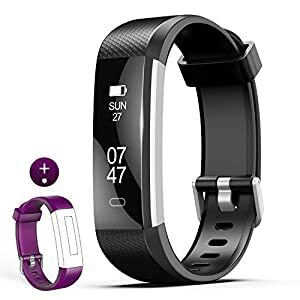 The L8star Fitness Tracker with a replaceable band comes with a wide variety of features. 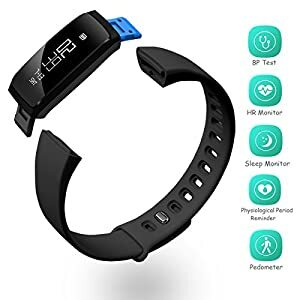 If you need to track every aspect of your physical activity, as well as your sleep, this is one of the best options out there. 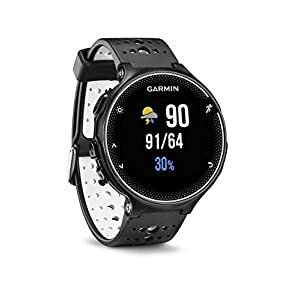 The Garmin Fenix 5 Watch Band, Shangpule 22mm is the perfect replacement band for your Garmin watch. 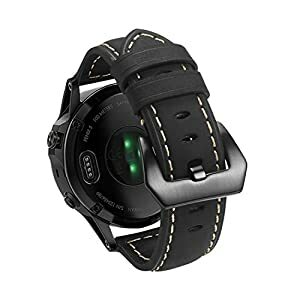 Consider this model if you want to upgrade your Fenix 5 with a very stylish and sleek leather band that offers exceptional attention to detail. 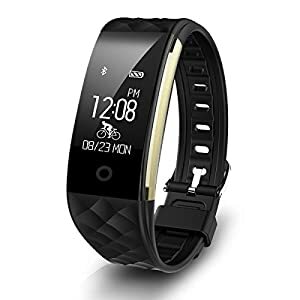 The Diagro S22 Smart Bracelet/Fitness Tracker offers plenty of features for the price. It is one of the highest ranked models in our selection, and a real pleasure to use. The numerous features, the quality design and the reliable tracking are only the surface. 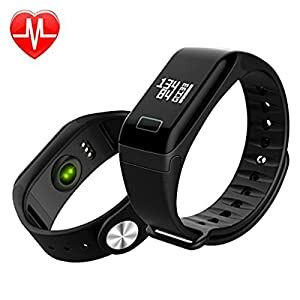 The Arvin blood pressure watch and activity tracker offers more options than almost any other model on the market. 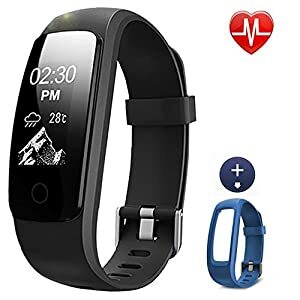 If you want to track your fitness, sleep, blood pressure and have many other options that make your life easier, this is the right model. If you plan to enroll yourself in this advanced 5k training plan, have in mind that you got to make it look fun, otherwise you will get tired and exhausted pretty fast. Make schedules, plan various types of exercises, talk with people about it, start hanging in online circles… Make the whole experience pleasant and fun and that will help you even more with the results. Drop us a word or two letting us know how things are going. Good luck.